Sometimes a repair job becomes necessary when you haven’t been able to budget for it…when this happens, Courtesy Auto can help you finance your repair, so we can get your vehicle back in service, and you can take care of the expense under manageable terms. We’ve partnered with Confident Financial Solutions so that you can quickly and securely apply for repair financing online, and get an instant response – the whole process only takes a couple minutes. There’s even a 60-day interest-free program! 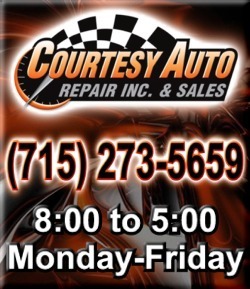 So if you find yourself in need of repairs, but without the funds on hand to take care of the bill, click the banner below to head on over to CFS and apply for your repair financing today!